Beginning our second and final printing for this week. Processing new QSL orders today. Making up the layouts for new online orders this morning. Sue will start preparing approved layouts for me to print on Thursday. Nothing beats the excitement of receiving a real QSL in your mailbox ! Answering emails and processing new QSL orders today. Sue is preparing our first shipment of the week. Up and at it early this morning to catch up on the online orders placed over the weekend. We are starting our first printing today also. New online orders will have their email proofs sent at varied times today. Our office phone is closed. We will be closed Easter Sunday. 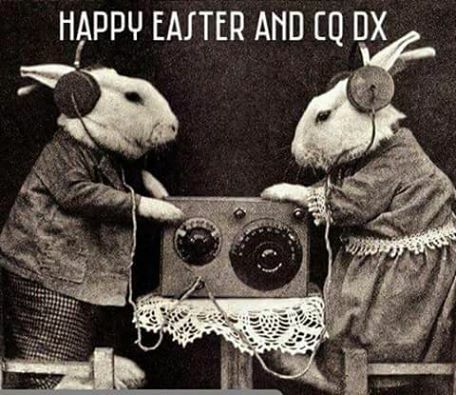 If your participating in the CQ WPX contest please give a listen for WQ6SL our club call which is being used by Paul, N4PN this weekend. We are up and at it early this morning to finish up our last printing for the week. All overnight order proofs have been sent. We are trying to get a shipment in the mail today but due to Vet appointments for our doxy all may not go out. Those remaining will ship Saturday. Sue has the day off today. Hal will be emailing proofs for all new online orders and replying to email inquiries. We did some very early morning printing and cutting of last minute approvals this morning. Sue is preparing our second shipment for the week. They will go out Priority Mail today. Responding to all email this morning. Sue is packaging and shipping all printed orders.